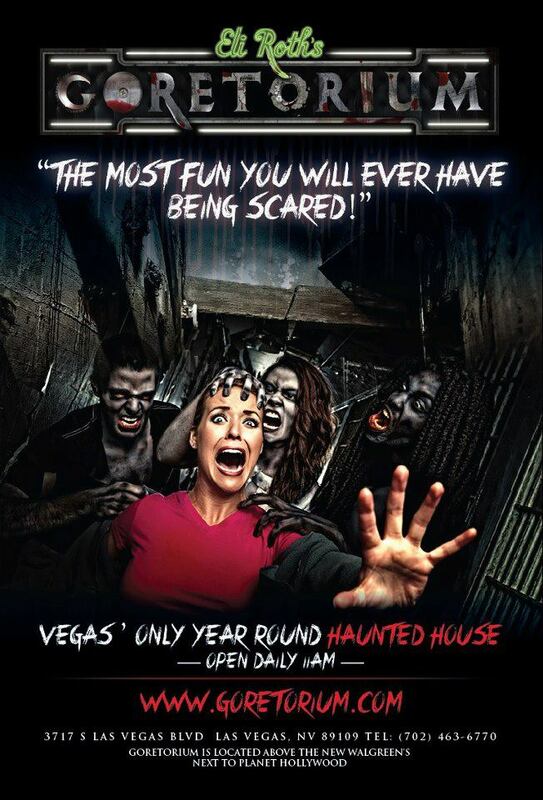 Sharing this new poster style for Eli Roth’s GORETORIUM with all our fright fans in Vegas and beyond who continue touring this horrific haunt attraction all year long. The Goretorium opens daily at 11am to check you into the remains of the Delmont Hotel and its murderous reputation which lives on in bloody nightmares today. Get your tickets now if you’re brave enough!